A question that I have written into my form is not showing up to the user. Help! The question is under the Current Principal or School Counselor heading where it asks for the full name. I've cloned and checked your form and the heading you've created is using the Free Text HTML field, when I changed it to Heading field, it got fixed so I would suggest to please change the "Free Text HTML" field to "Heading" field. Hope this help you solved your problem and please let us know if you have more further questions. I tried this and it unfortunately did not resolve the problem. Any other ideas? 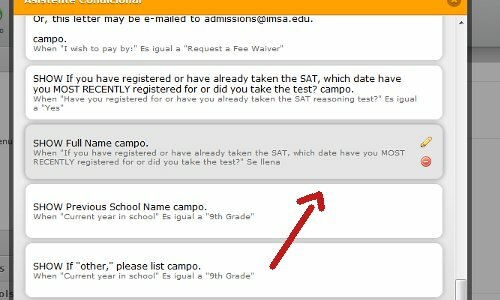 It is not showing up on the live form that users fill out. Thanks! 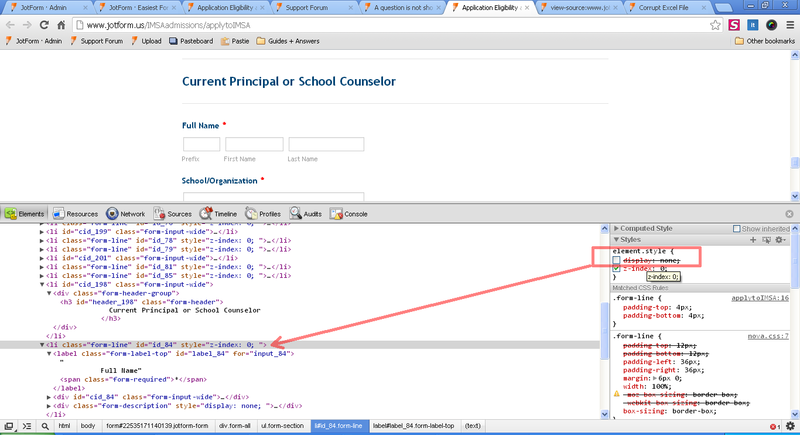 Upon checking your form source codes using Google Chrome inspect element feature, I found out that the field is hidden using some CSS codes. See this screenshot: Click here. 1. Find li class="form-line" id="id_84" style="display:none; z-index: 0; "
I was looking at your fomr and noticed that you currently have a condition that is hiding the field. Also, I notice that you have a couple of conditions that include deleted fields. You may want to review the submissions and see if that solves the problem. To do this, you need to click on the conditions icon on the top of the page. You will see s button on the bottom left of the wizard window labeled "saved conditions". 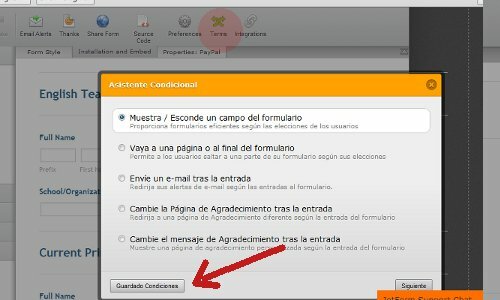 Click on this button and review the conditions that you currently have set for the form. I tried this, but I don't have the "display:none;". When I look at the CSS, I see it as "dispaly:table-cell". Help! You can avoid having to look for that in the css since it is related by just removing the field that has been set to hide the form as suggested by Eduardo which is the cause of the problem as it was not setup right in your conditions.